We initiated coverage on MediPharm in March and the stock has risen >50% since we rated the company a top pick in cannabis extraction. MediPharm reported 2018 Q4 results including $10 million of revenue and $2 million of EBITDA, a rare performance among cannabis stocks. We think MediPharm offers both growth potential and reasonable valuation which support our continued optimism in the stock. MediPharm Labs (OTCQB:MEDIF) was one of the few cannabis extraction pure-play companies that we initiated coverage recently. We said that MediPharm was the best way to play the niche but growing cannabis extraction space and the stock has certainly delivered. Since our article that was written on March 8, the stock has risen >50% as it became one of the best-performing cannabis stocks among all the cannabis stocks we cover. 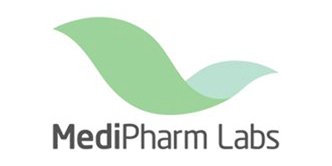 MediPharm reported 2018 Q4 results including $10.2 million of sales, which reflected sales since it received the sale license from Health Canada on November 12, 2018. Gross margin came in at 49% and the company also reported positive adjusted EBITDA of $2.1 million which is a rare feat among cannabis stocks. Q4 was the first quarter that the company generated revenue and it was an important milestone as it shows that the extraction industry is taking shape and demand is tangible and robust. While the company still reported a net loss of $8.5 million, it was exacerbated by the one-time transaction fees and share-based compensation. Furthermore, the company only began selling products almost halfway through Q4 which means run-rate revenue and profits should be much higher. While it is difficult to compare and contrast Q4 numbers in this case given the lack of historical information, we think MediPharm has delivered a decent quarter and we could use some benchmarks to get a sense of how well it did. As the chart below shows, many of the industry behemoths reported much lower revenue figures in Q4 and most of them also incurred significant losses. 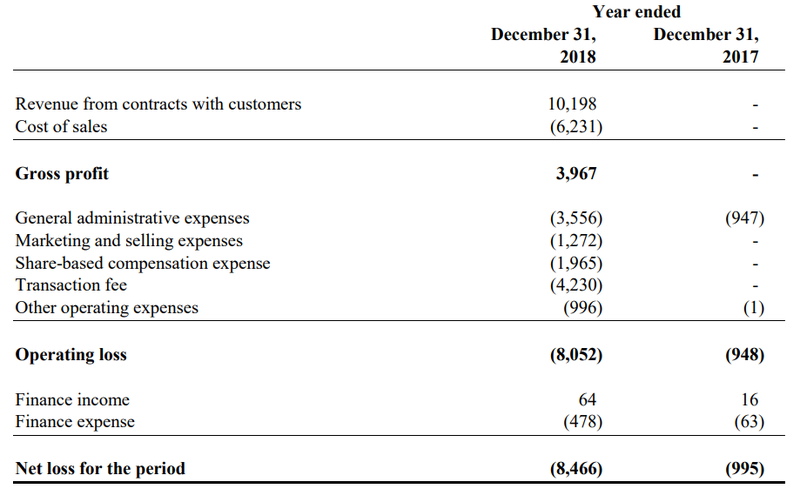 While MediPharm operates a different business model and its Q4 sales might not represent a true run-rate figure due to the lumpy nature of bulk oil sales, we still think the company has delivered a strong quarter as it was clearly ready to tackle the market as soon as it received the license. Going into 2019, we think the company has a clearly defined strategic roadmap that centers on its leading market position. First of all, the company is looking to expand its tolling agreements to more LPs that are looking to outsource their extraction activities. MediPharm's main competitor Valens Groworks (OTCQB:VGWCF) has amassed a strong slate of tolling clients, including Tilray (NASDAQ:TLRY), Canopy (OTC:CGC), and OrganiGram (OTCQX:OGRMF), etc. We think MediPharm will focus on competing aggressively with Valens for the remaining tolling market. Secondly, the company is also expanding internationally through its Australian subsidiary (expected to be commissioned in 2H 2019) and cGMP certification which would allow it to export to the EU markets. Lastly, we think the company still has a large and untapped market as more CPG and pharmaceutical companies look to get into cannabis. As extracts will become the most popular form of inputs for these types of businesses, rather than dry flowers for recreational consumption, we think MediPharm is well-situated to become a supplier of choice for potential partners such as Unilever (NYSE:UL) which just announced its foray into hemp-infused personal care products. MediPharm currently trades at 14x EV/annualized revenue which is at the low end of the Canadian cannabis group. Within the extraction space, MediPharm also looks very appealing as Valens Groworks and Radient (OTC:RDDTF) did not report meaningful revenue in their latest quarters. Neptune (NEPT) did report meaningful revenue, but it was all generated by the non-cannabis nutraceutical segment. Overall, we think MediPharm trades at a reasonable valuation considering that it has a tremendous growth profile as sales only began halfway through the last quarter and it is still in the midst of major capacity expansion and new customer onboarding. We reiterate our positive view on the company even after the huge rally since our initiating coverage report was published on March 13. We think the company is most likely to become the best extraction specialist in the Canadian and international markets. Management has also shown foresight and discipline by investing in technology, manufacturing, and licensing early on. With its first-mover advantage in private label offering, we think MediPharm is well-positioned to capture a large share of that market. More importantly, the company remains reasonably valued based on conventional valuation metrics. We have shown that the company is cheaper than most licensed producers despite achieving higher revenue and profitability than most did in the last quarter. At the same time, the company has access to a large potential market as extracts are estimated to become a major contributor to future growth in the industry. As more CPG companies become interested in cannabis products, we think a supplier like MediPharm could see increasing interest in their products and services. Overall, we believe MediPharm is well-positioned within the cannabis extraction space and its valuation still leaves plenty of room for future growth. We recommend investors to stay long and believe this stock is the best way to play the cannabis extraction space.